Your PC’s performance is determined by the interactions between different hardware components, the operating system and the type and amount of software running. A benchmark provides a set of performance tests that can be repeated with a high degree of accuracy on a wide range of computer hardware. 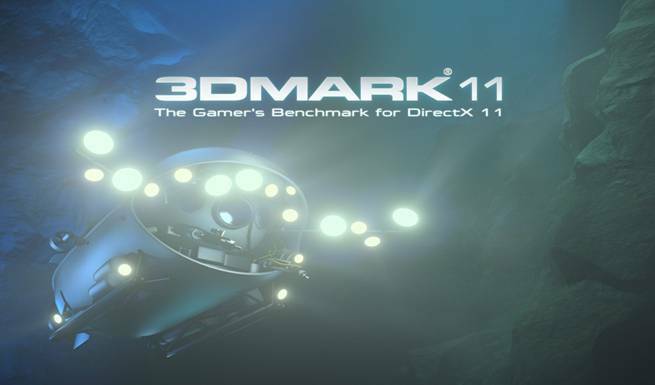 3DMark 11 is the latest version of the world’s most popular benchmark for measuring the graphics performance of gaming PCs. We recently got a chance to sit with Ilkka Koho, 3DMark 11 Product Manager and Jaakko Haapasalo, Director of Futuremark Games Studio and talk about 3D Mark 11. It’s a pretty interesting read and we touch a lot of points on PC gaming. Do read it till the end. GB: So, just for those of our readers who might be unfamiliar with 3DMark, Exactly what would you say 3DMark 11 is, and how would you say does it affect gaming? 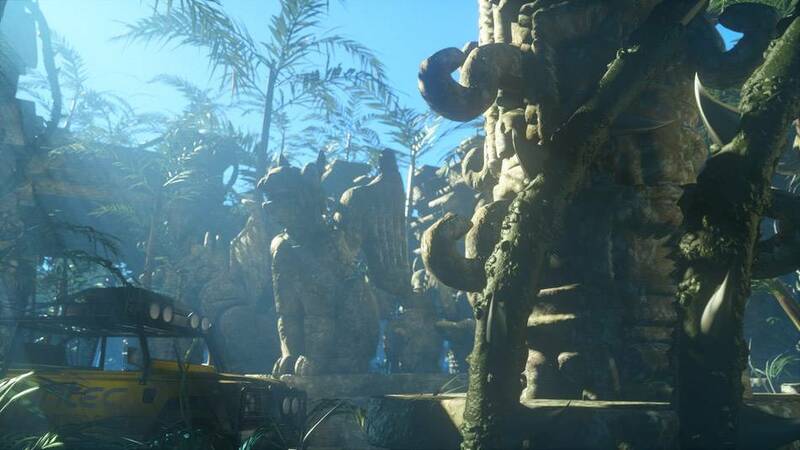 FM: 3DMark 11 is a type of program called a benchmark. 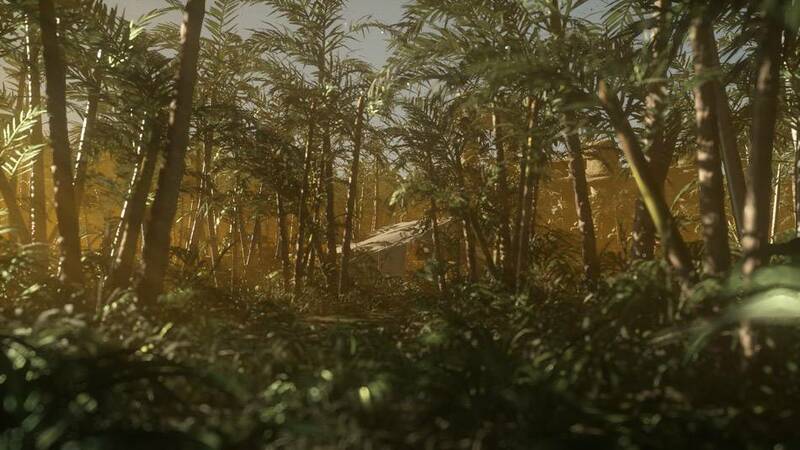 It is the latest version in the 3DMark series we have been making for over 10 years. The purpose of a benchmark is to provide a set of performance tests that can be repeated with a high degree of accuracy on a wide range of computer hardware. In 3DMark 11 the tests focus on gaming performance by rendering complex game worlds in real-time and by calculating large amounts of physics interactions between game objects. After running the tests 3DMark gives your system a score with larger numbers indicating better performance. By comparing your score to those from other users you can see how your PC compares or check for configuration problems. If you are planning to upgrade your PC comparing 3DMark scores between different systems is easier than trying to compare the technical specs of individual components. 3DMark.com has an online database containing over 35 million results that you can use for performance comparisons. 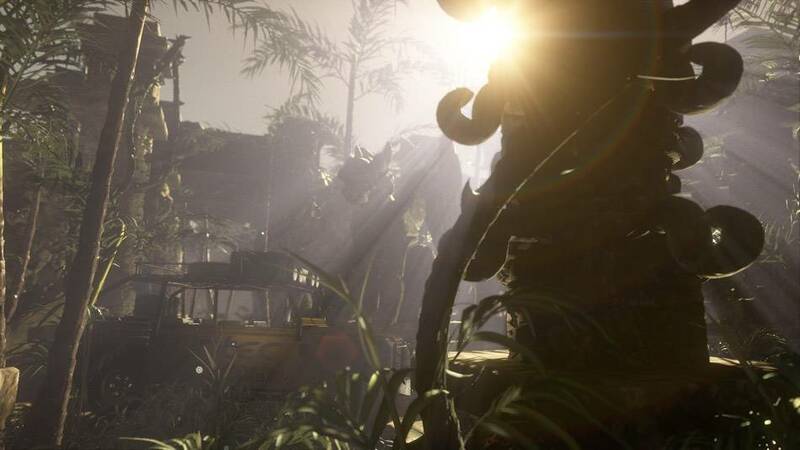 GB: Given the recent comments from premier PC developer Crytek that consoles are holding the PC back from achieving maximum performance, would you say that there is really any PC game today that is demanding enough graphically to actually warrant usage of all the intricacies that DirectX 11 brings to the table? FM: This is a complex question as there are a number of ways of interpreting the comments made by Crytek CEO Cevat Yerli. The latest PCs are much more powerful than the consoles so it would be wrong to say that consoles have held the PC back from a technical standpoint. Our view is that it is the Catch-22 situation in the market that is holding the PC back. The PC market isn’t big enough (compared to consoles) to justify the extra investment needed to take advantage of the latest hardware, but the market won’t grow unless there are enough titles to tempt gamers to drop Windows XP and DirectX 9. As long as publishers and developers feel that there is more money to be made on the current consoles than on DirectX 10 / 11 PCs then PC gaming will suffer. It will take a brave developer and publisher to show that investing in a PC version that takes advantage of the latest hardware can be financially worthwhile. We tried it at the end of 2009 with Shattered Horizon, which was DirectX 10 only. Likewise for Just Cause 2 which released last March. It could be that a highly anticipated title like Battlefield 3, which uses an engine optimized for DirectX 11, will kick start growth in the high-end PC market and finally break the dreadful cycle of DX9 console ports the PC has been treated to in recent years. GB: 3DMark 11 was recently delayed. Could you shed some light on the last minute decision to delay the launch of the product? FM: A benchmark needs to deliver accurate and consistent results right from the start. With that goal in mind, even though we had announced a release date, we decided to take some extra time to fix a couple of difficult bugs rather than patching the benchmark immediately after launch. GB: As someone whose product is designed around PC gaming parameters, what is your take on the commonly held perception that PC gaming is dying? FM: “PC gaming is dying” is one of those absurd generalizations that does not make any sense when applied to a platform as broad as the PC. While it is fair to say that flagship core-gamer titles are in a slump right now due to the reasons we mentioned earlier, other parts of PC gaming are showing explosive growth. The PC platform is huge in terms of install base, there are several genres that are specific to the platform, and the effects of new digital channels are just beginning to be felt. The PC is more flexible on pricing and distribution and more accommodating to innovative and experimental game types. The PC does a better job of closing the gap between players and developers and you could argue that it is better at fostering communities too. All those advantages and we haven’t even talked about MMOs, casual games, free-to-play and social network games. Piracy continues to be a huge problem, but digital distribution, web games and the idea of games as a service are helping to counter it. GB: Given the shift of development resources to the HD consoles, and the rise of social and flash gaming on the PC, do you believe that a viable number of graphically intensive games will continue to be released for the PC? FM: This is a tough question without resorting to crystal ball gazing. In order for it to be viable to create graphically intensive games on the PC there needs to be a large enough market and the graphical improvements over the console versions needs to be significant enough to justify the extra cost. In the near term, the install base is going to be there for high-end graphics and should be large enough for developers to justify investing in graphically intensive games. There is already a significant performance gap between PCs and consoles in terms of no-compromise high-definition resolutions of 1080p and up, hardware tessellation, advanced lighting and the use of multithreading and compute shaders. The gap is large enough that games designed for modern PCs will look obviously superior to the console version. In the near term then, we do believe that graphically intensive games will continue to be released for the PC. Whether the PC will retain its role as the driver of GPU development beyond DirectX 11 is a bit less certain. Over the next few years we could see more focus on mobile graphics by the hardware manufacturers, for example, and this might divert resources away from the high-end desktop side. GB: Who would you say is your favorite PC developer? And which publisher do you think could do a better job of taking PC gaming seriously? FM: We have lots of favourites, but Valve would have to be one of the first we mention. Half-Life and Half-Life 2 were formative experiences for a lot of us in the studio in terms of how we see the FPS genre, and Portal was pure inspiration. I think Valve have a design approach that really lets the gameplay shine. Regarding publishers, they would not be acting responsibly if they didn’t go where the money is, so we see no point in naming names. When the piracy-resistant business and content models of the future have been hashed out, they’ll be back. In the meanwhile, a multitude of indie, semi-indie and niche games thrive, alongside with the occasional mega-hits. GB: Futuremark itself has had a stint with PC game development, having developed the rather excellent Shattered Horizons. What is the future for games from the Futuremark Games Studio stable? FM: Shattered Horizon was our first game which we released at the end of 2009. We’ve enjoyed listening to our community, finding out what people like and what they’d like to change. We made a number of big updates to the game last year and even now, we are working on an expansion that will add bots to the game. That update is in open beta testing right now. For 2011 and beyond we will take what we have learned and create even better gaming experiences. No matter where that takes us, our focus as a studio is to find innovation in gameplay. Introducing zero gravity and complete freedom of movement to an FPS game is an example of that and our feeling is that there are plenty of other popular genres with real opportunities for change. We certainly hope we haven’t seen the last of the Shattered Horizon universe either. GB: This one is specifically for Mac gamers- but is there any chance of there being a special Mac edition of the 3DMark suite? One specifically configured for Mac APIs, I mean? FM: There is no technical reason that would prevent a 3DMark for Mac though 3DMark has always been a benchmark for the DirectX API, whereas Macs use OpenGL. From a user perspective, however, it is much less common for Apple users to build their own systems or upgrade individual components and overclocking is almost unheard of. Without these variances, you don’t need a benchmark to tell you that the performance of your off-the-shelf Mac is the same as everyone else’s off-the-shelf Mac. It’s also worth noting that 3DMark is designed to measure gaming performance and, at least for now, gaming is not as popular on Mac as it is on PC. GB: The onset of OnLive threatens the existence of dedicated gaming PCs. Your thoughts about OnLive? FM: Cloud gaming is obviously at a very early stage right now. With proper execution cloud gaming could seriously lower the barrier for entry into high-end gaming. It will not lower the amount of expensive entertainment gadgetry around our gaming sofas though. There will always a better monitor, better audio system or a better cloud-gaming-resolution-booster-lag-reducer to buy. The loss of control or ownership over parts of the platform and content may prove too much for some though. Time will tell: the beauty of all these new technologies is that none of them are going to make it harder to develop and distribute great games. GB: Finally, when do you think can we look forward to the next ‘generation’ of PC gaming? One that will inevitably entail new graphics cards, new APIs, possibly a new OS, and a new version of 3D Mark as well…? FM: Over the last 10 years new versions of 3DMark have always arrived shortly after the introduction of a new version of DirectX. In general though, we think the concept of generations is much more fluid with PCs than with consoles. According to the Steam hardware survey, roughly 6 percent of gamers were running DirectX 11 in December and 56 percent were running DirectX 10. Even though the DirectX 11 number looks low, Windows 7 was being used by close to 50 percent of gamers. With those numbers in mind, what generation would you say we were in? Does it even matter?